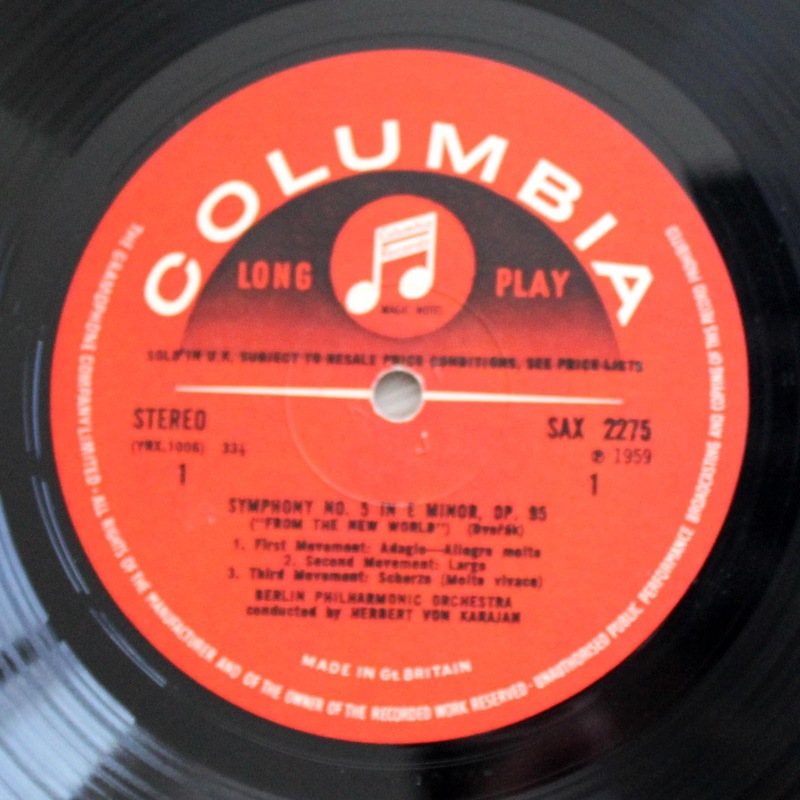 From Miles to Mozart: Columbia SAX 2275 EMI/Columbia Records the New World ... Take One! Columbia SAX 2275 EMI/Columbia Records the New World ... Take One! 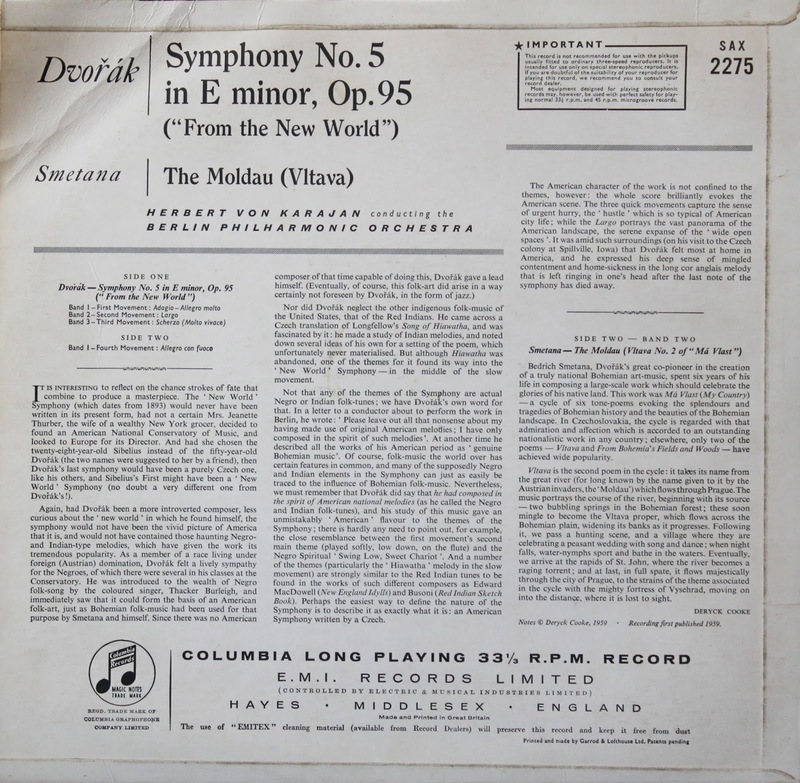 Comments: The folks at EMI/Columbia in the 1950s-60s must've really loved Dvorak's New World Symphony or realized its selling potential to the music-buying world, because they decided to record it at least 4 different times with four different conductors on the British Columbia alone, not to mention Rudolf Kempe's recording in the EMI ASD series. 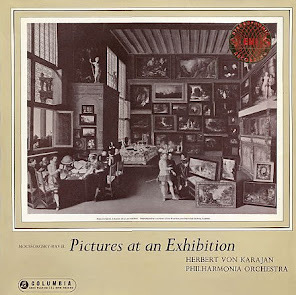 This was the first of the four, the others being with Wolfgang Sawallisch and the Phiharmonia, Carlo Maria Giulini with the Phiharmonia, and lastly with Otto Klemperer with the New Philharmonia. I wonder how the musicians of the Philharmonia felt about recording this four times. 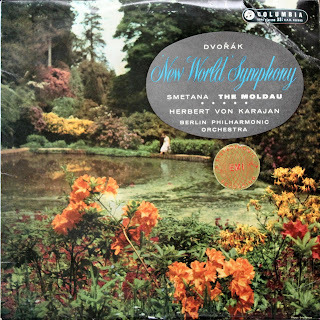 Karajan and the Berliners would go on to record the New World a few more times for Deutsche Grammophon. 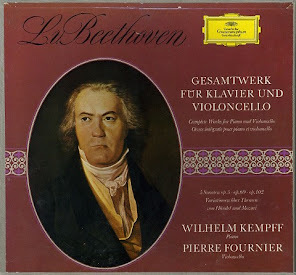 We all know there is no shortage of recordings for this staple of the classical music repertoire. 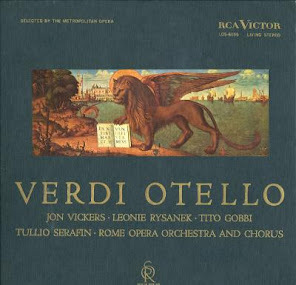 In any case, this is a pretty decent early stereo recording, with a good all-out performance (my only qualm is the opening measures of the 3rd movement, which I felt were a little wobbly). The second movement is given a very lyrical treatment, the third and fourth movements proceed at good tempos. Again, as I have found to be typical on these early EMI/Columbia recordings, you feel like you're sitting some rows back in the recording hall, but that way you can also take in the acoustics of the hall. Dynamic range is pretty good, with just a little loss of clarity in the very loud passages. This could be my equipment. I'd describe the recording as being "bright". In summary, this is a pretty common SAX recording and if desired, you should not have any difficulty in finding a reasonably priced copy of this. I have a second pressing, which sounds fine to me. If you're willing to pay at least double for the blue/silver, be my guest. Unless you're a die hard first pressing collector, I see no reason to splurge. Just an interesting aside ... this is the first time I've seen YRX stampers instead of YAX. Not sure of the meaning, if anyone else can clarify the discrepancy. I am pretty confident that the YAX will not identify the pressing. Very late Concert Classic pressings of Columbia's have the same YAX numbers in the "dead wax". This is long after the demise of EMI Columbia as a classical division. Often there is another letter or number after the YAX. I've given up on figuring this out. I've stared long and hard at London/Decca stamper numbers which are well known. But even they are not reliable. I've run into E1 pressings with two different labels. They did not sound like the same mastering. It's primitive (and British), but I think the labels do make for a reliable indicator of sound. This is after 15 years thinking the stamper numbers told all. I too would like further knowledge about the EMI stampers and what they might represent. 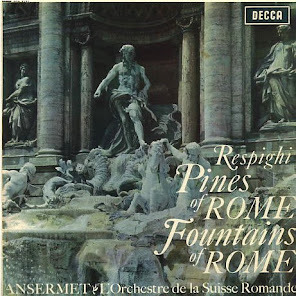 For whatever reason, EMI pooped out the Sawallisch on Regal(SREG1054) and Classics for Pleasure (CFP 104) while opting for Kempe on Concert Classics (SXLP 30110), for which I just saw a test pressing fetch nearly $40. Giulini also on SXLP 30163. Klemperer gets full price treatment on SLS 5003 and their is a very nice full price issue of this Karajan on ASD 2863 (color stamp too!). The original Kempe ASD is the high dollar pressing of the bunch. The Concert Classic version is in a desirable range for sound. The Sawallisch Regal might be interesting too with likely all tube treatment. STS 15101 (London Stereo Treasury) has my favorite Kertesz VPO performance for cheap, but I'd expect any of these EMI to best it sonically (the blue back or Decca pressing is another matter and could be sonically tops). 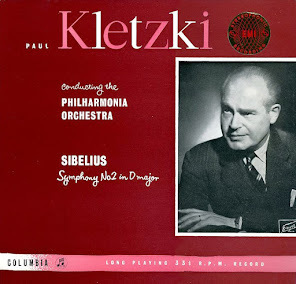 The London Kertesz LSO is supposed to be a better performance, but not to these ears. Your talk about Regals and Concert Classics and Classics for Pleasure has me wondering how these sound compared to the originals. I never previously gave them much consideration, but if they sound as good as you say, they would be great less expensive alternatives to the higher priced EMI/Columbias. 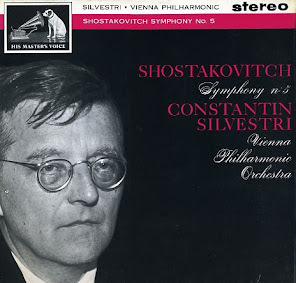 The only CFP I have is Markevitch's Rite of Spring with the Philharmonia. I'd love to get the original ASD of that, but it always sells for $300+. I knew a guy named Jerry Cantor, the late owner of The Classical Collector website, when I lived in Chicago, and I used to frequent his home/shop in the northern suburbs when I was a medical student. He had thousands of records, all neatly preserved and organized in his basement. I remember that he had collected all of the EMI ASDs, and this one was one of the last he purchased. He said he paid a fortune for it. I later tried to bid on a couple of copies on Ebay but could never fork out the $500+ that they sold for. Instead, I found a $1.99 copy of the CFP at Princeton Record Exchange, and I have the Testament CD reissue from UK Amazon for $18. Suits me fine until I find a garage sale copy!!! I'm getting close to reviewing the Sawallisch SAX, since I've been trying to go in order again. I'll let you know if it's worth the purchase! I have few CFP reissues myself. Thoroughly pleased with my CFP Organ Symphony which sounds like a B&W pressing to my ears. My thinking right now is that with the ASDs the later issues give nice competition and the semi-circle pressings seem to do an even better job on my system. Revisited some of the LPs played on the Lyra Titan system and that system might not have liked the color stamps quite so well (great here). I will try to get these (semi's especially) on some other systems this week. With the Columbia blue and silver of which I have one, I will say the reissues do not capture the magic. I love my SXLP 30124 Mozart PC 21,22 with Annie Fischer which was not put out on SAX. Great piano sound and performance. I'd recommend this and SXLP 30148 Mozart PC 20, 23 which does have an SAX. SXLP is on the cusp of B&W sound and may be a bit drier like SXLP 30150 Mozart FC1, FC2 (Shaffer). I don't have 148. I am also quite fond of my Ogden semi of Tchaik 1, ASD 542 when it comes to piano. That Markevitch Rite of Spring is early on in the CFPs. If you don't love it, you may not like many of the others. I would think it would be pretty good if it is typical B&W sound, big bass and extended highs would work quite well for the Rite of Spring. If it predates the B&W sound that would be even better. Just a quick question for you. When you say that a recording sounds "dry", what do you mean? I'm just curious, because it's difficult to find objective terms to describe sound. Professional critics and reviewers have a huge lexicon to describe these things, but amateurs like myself are sometimes at a loss of fitting words. 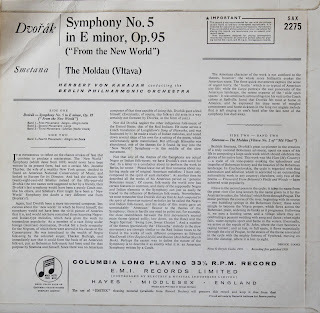 I try to read Gramophone and Fanfare reviews to get a better idea of the flow and lingo, but each writer has his or her own style. Dryness is something I particularly notice with string instruments. Your RCA living strings have a syrupy luscious quality. I have some early nonesuch recordings which have a very highly resinous sound in the upper registers which is cool (I like a lot). The ASD early reissues (color stamp and semi) produce a sweeter sound on the strings which I attribute to the better control of the cutter by the transistor amp, much like how solid state amps control difficult drivers much better than tube equipment which has a higher output impedance/low damping factor. The highly resinous sound and sweet sound are rare on tube pressings because of this lack of control. EMI/Columbia is very close here and may have a very accurate string sound on the original tapes. Where does dryness fit in? Well its worse and seems to be endemic to later 70's and beyond mastering jobs done with lots of integrated circuits on board. The strings have a brushed sterile sound which may not wholly be inaccurate. I've heard live sound like this some times where my seat or the hall is sub standard. I listen to chamber music at Lenna Hall in Chautauqua and this dryness seems to be a constant affliction. Perhaps it is the real sound up close without the hall influence. It is a modern design (http://www.ciweb.org/conferences-facilities/). "Central to the mastering systems are our all-discrete, A/B analog consoles. The equalizers, limiters and line-amps are proprietary integrated elements of our consoles. During their design each component is tested on the bench and auditioned by ear before selection. Other performance raising attributes are massive power supplies and detailed grounding implementation. The result is that our consoles provide clean, high-fidelity transfers of client's music to the final master." Discrete here means discrete transistors. Integrated circuits contain multiple transistors. So in my mind, there are three camps tube, IC solid state, and bridging the gulf discrete transistors which is all there was until the early 70's. Small batch made from a fresh stamper set! Comes with FREE Hi-Res 24-bit/88.2kHz Download Card! Wow, thanks for the detailed explanation! Are you an engineer? You seem to have a solid background of electrical engineering. I, on the other hand, must admit ignorance. I'm trying to learn more about the fundamentals of sound and electrical circuits, etc. Learned it in physics in high school and college and have since forgotten due to lack of use. I have Robert Harley's latest edition of his book on high-fi audio which has some scientific discussions in the back. It'd be nice to understand what I'm listening to and how. Not an engineer, but many friends who have that inclination. I am a math and science guy. Explaining audio is difficult because many of the normal engineering conventions do not correlate well with the listening experience. Crazy is a phd in EE. Bassophile is an engineer. Good friend of mine who helps a lot on listening sessions is Mr. Physics in his understanding. The best audiophile's don't carry much of this baggage, but when assembling a system it is quite helpful to have some Physics and EE know how in your corner and to pick up what you can. Your comments on this aspect of sonic 'dryness' are dead on. There's another aspect of it that partially but not completely overlaps and relates to the more technical aspect you discuss, and that is the amount of reverb or hall sound ('wet') vs a lack of same, an anechoic type of sound ('dry'). Anyone who's spent time in a recording studio or played electric guitar is probably familiar with this terminology, but even in the theoretically pure and less-electronic world of Golden Age classical recordings, aesthetic decisions were made (and accidents happened!) that made this or that recording wetter or dryer. The hall (Boston dark and reverberant if I remember right, Cleveland less so, etc). Microphone placement. Even the conductor's thousands of tiny choices interact with 'sound,' which isn't a totally separate topic (i.e. a conductor who performs a piece a little slower, or with more sudden staccato stops, will be utilizing the sound of the hall more, even jacking up the perceived hall reverb the audience hears, but by organic rather than electronic means). Yeah, I have a lot of respect for those who can understand this stuff and be able to differentiate the science from the baloney. My training is medicine and stem cell biology, so I'm a far ways off. My father is a physicist, but he's not really into audiophile sound. Listening to ASD 2863 right now and the sound is first rate. No color posted stamp. Thecomment above was a mis-statement, it does not exist. This is a black and white label. I'd go for this over original. 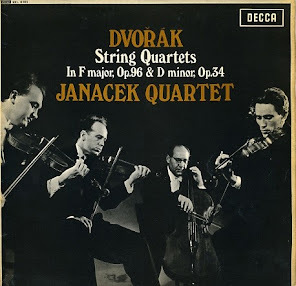 The Dvorak 9 (SAX2275) has been reissued by HIQ Records under licence from EMI/Warner and cut (DMM) from the original Columbia master tape at Abbey Road Studios and pressed on 180g vinyl on the old EMI presses at the Vinyl Factory, Hayes, UK. Check out www.hiqrecords.com, available in the U.S. from Elusive Disc. Hi Christos -- thanks for your comment! I think that neither Miles nor myself have had any experience with these HiQ pressings, but we both are curious as to their sound. I wouldn't be surprised if some of the old school distortion on the originals was factored out in these newer pressings, but side by side comparison would be in order. Many of them would certainly be cheaper than white/gold originals. I am not so sure the HIQ are DMM (direct metal master) as this is the first I've heard of this and had no luck with some quick googling. They are DMM cuts because I know some of the guys at the pressing plant. I think the label is wary of making a thing about it because there are many audiophiles who do not like DMM. Amazing information Christos. Some of the best records on the planet are the DMM German pressings of the great Harmonia Mundi recordings on the Supreme Recordings list. Europadisk DMM pressings of some Philips material sounds quite a bit better, though not perfect. Many engineers talk of the technical superiority of DMM. I think it is a real asset for Hi-Q to be doing DMM. Of course Hi-Q is left with the leavings of the Electric Recording Company on many of the titles, but that is fine. I think Hi-Q's new approach might garner some excellent results and it has heightened my interest in Hi-Q. I note the HIQ website now has a DMM logo and their facebook page has a photo of the actual Abbey Road Studios VMS82 lathe! They have released far more than the Electric Recording Co. and the LPs are somewhat cheaper!